Zadar, tucked away in the northern part of Croatia's Dalmatian coast, is slowly moving on to people's radar and you can see why. Centuries of history mixed with beaches, fabulous cuisine and the chance to nip across to neighbouring islands make the city a seriously desirable destination. If you've already done Split or Dubrovnik and want something a bit more chilled out, spend a few days here swimming in the Adriatic, exploring ancient Roman ruins and feasting on fresh fish. Here are seven ways to experience the very best of Zadar, however long you're there. Getting to Zadar: while you could fly to this scenic Croatian city, why not arrive in style with Marella Cruises? Check out the latest deals on itineraries departing in 2019/2020. Right on the western edge of the old town, which sits on its own peninsula, are two audacious works of art that are as brilliant as they are unexpected. Look down and you'll see a large blue glass circle, Greeting to the Sun, embedded into the seafront promenade, known as the Riva. Once the sun starts to set, the circle flashes into life and starts to look like something out of Saturday Night Fever. While you're there, you'll hear a strange sound coming from the marble steps leading to the water's edge. 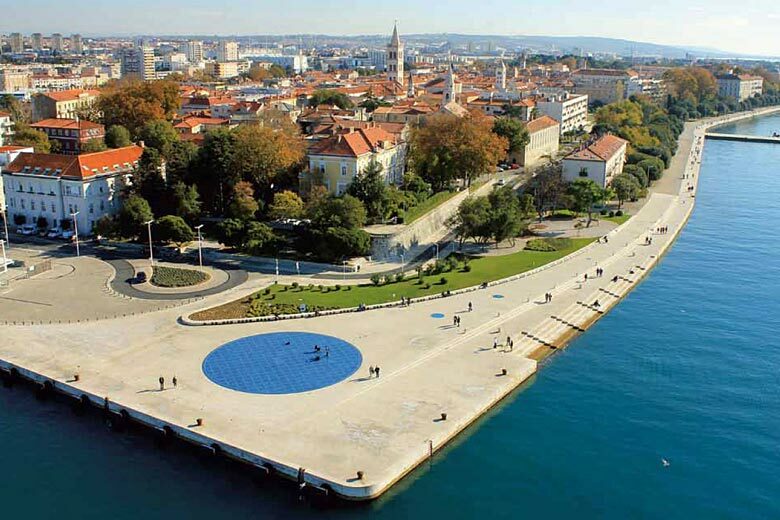 That'll be the Sea Organ, an underwater installation by the same artist, Nikola Bašić. Thirty-five pipes beneath the sea move in motion with the water and make a beautifully haunting sound. Zadar has its own Forum, a series of ancient Roman ruins that surround the main square by the waterfront. You'll also spot the chunky Byzantine church of St Donat, which has been around since the 9th century and nowadays is a lovely setting for classical concerts. Pop into the nearby Archaeological Museum to check out exhibits from prehistory to medieval times. There are also some unexpectedly fascinating exhibits in the Museum of Ancient Glass, which is in the 19th-century Cosmacendi Palace facing the Zadar Channel. Roman and Dalmatian glass give you tantalising glimpses into life in the distant past. The daily open-air food market will have you salivating over giant hunks of the Croatian version of prosciutto, called pršut, along with enticing displays of olives and honey. You'll also spot stalls selling paški sir - a sheep's milk cheese that's the speciality of the nearby island of Pag. Don't miss the fish market, which is built into the old city walls and has mouth-watering displays of fresh seafood. This should whet your appetite for Zadar's restaurants, where grilled fish and seafood join other specialities including spit-roasted lamb and huge plates of grilled meats. Come in the summer during the Full Moon Festival and you'll see the Riva lit up with lanterns and filled with food stalls selling local goodies. Fishermen also turn their boats into street food pop-ups selling the freshest grilled fish and local wines - divine! While the locals think nothing of diving from the Riva and paddling in the sea, you might want the comfort of an actual beach. Just south of the old town is Kolovare Beach, complete with bars and safe swimming areas for kids. Follow the coast as it curves north of the old town to find the main beach resorts. As they're mostly pebbly or rocky, you'll want to bring some swimming shoes. One of the most popular is Borik Beach, a lively mini resort with children's play areas, water slides, cafés, water sports and even some sandy bits of beach. If you don't have your own transport, Borik is easily reached by bus. The further you go along the coast, the quieter it becomes. Diklo is the next beach, and there's more of a laid-back vibe here. It's even more chilled out next door in the beach at Ko&zcaron;ino. For more than 800 years, the barkajoli of Zadar have been rowing passengers back and forth across the Zadar Channel, proving Venice hasn't got a monopoly on picturesque modes of water transport. These little rowboats have been passed from father to son for generations, and it's a scenic little ride across the channel, where you can stroll along Marina Borik and past its cute little beaches. Yes, really. Well, at least according to Alfred Hitchcock. 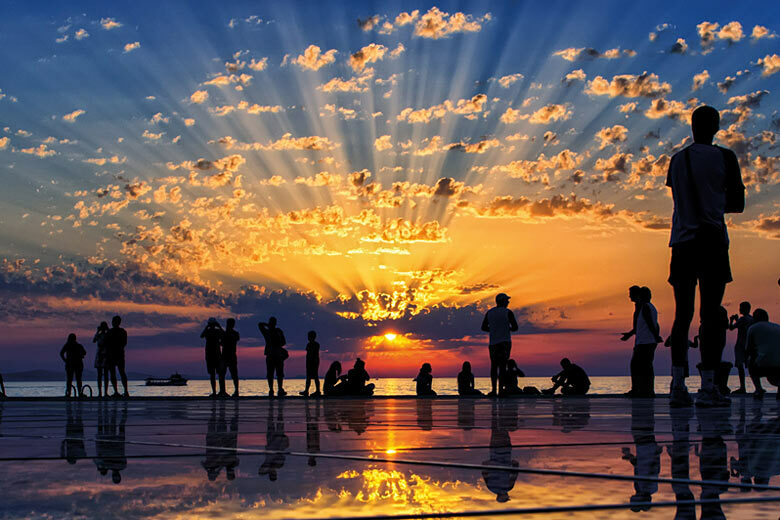 When he visited in 1964, he declared: "Zadar has the most beautiful sunset in the world, more beautiful than the one in Key West, in Florida, applauded at every evening." You can applaud the setting sun yourself at the edge of the Riva waterfront before heading to the Garden Lounge for a cocktail. 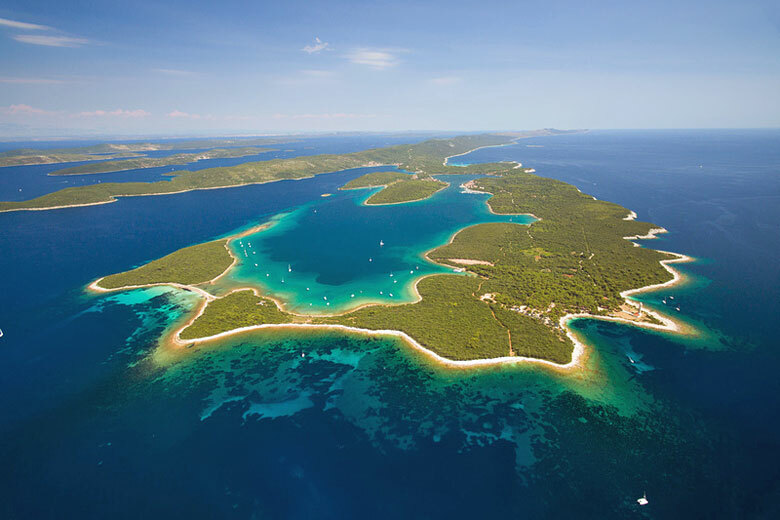 Scattered all around Zadar is an archipelago of enchanting islands, and many you can visit by ferry. Hop across to Pašman and Ugljan, which you can combine on one visit as they're connected by a bridge. Hire a bike and cycle through vineyards, pine forests and olive groves before hitting the beach. Dugi Otok is the biggest in the archipelago, and has a gorgeous (and rare) sandy beach at Sakarun. Pag, a usually sleepy island where the humans are outnumbered by sheep, perks up in the summer when big dance festivals turn Zrce Beach into a major party zone. If you're into sailing, take a leisurely tour of the Kornati Islands, which are among the most appealing in the Adriatic. 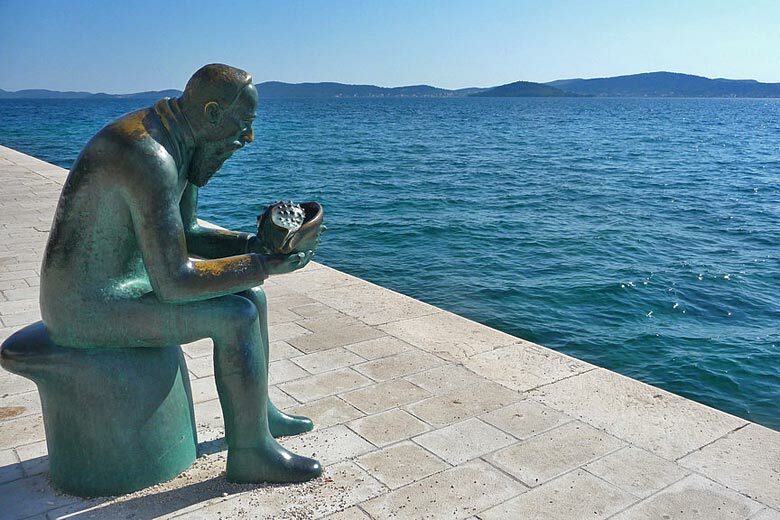 Hot and sunny in summer, cool and fresh in winter, Zadar is a truly seasonal city that excels from May to September. 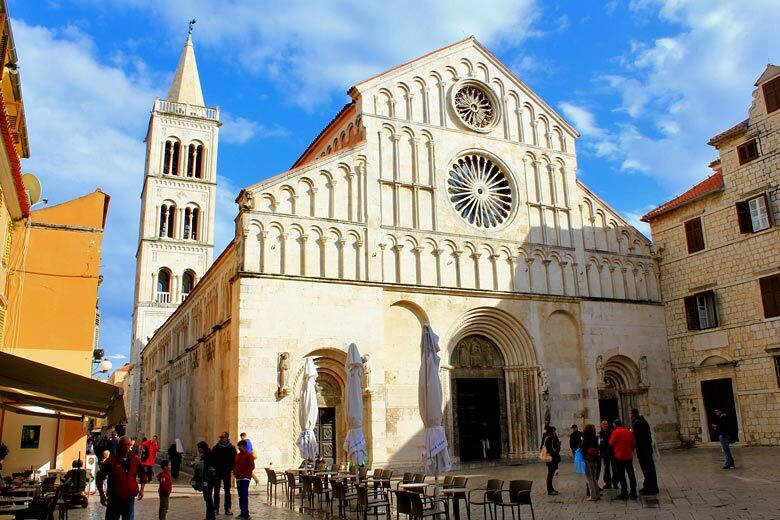 Check out our guide below or find out more about the weather in Zadar and see when we think is the very best time to go. Does the sound of Zadar float your boat? Check out the latest deals from Marella Cruises to book your escape to Croatia today.